IT is hard to decide what is more impressive, this home’s location, the views or the glamorous makeover it received since it was last sold in 2017. 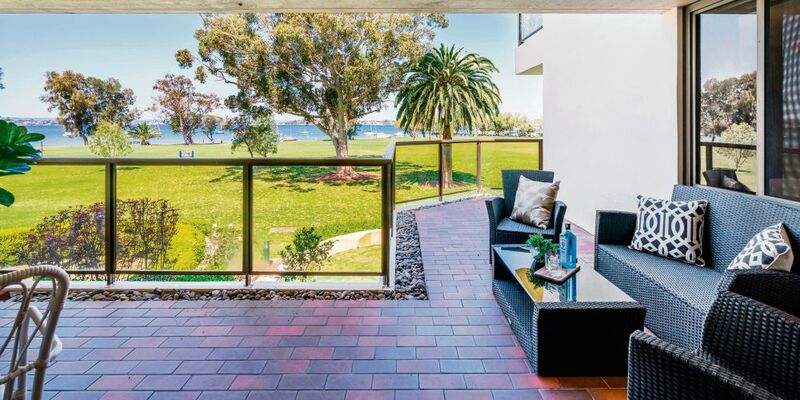 The location is enviable, offering waterfront living where you can easily stroll along the river’s edge towards Dalkeith or Matilda Bay, or walk the dog or play a bit of sport in the park. 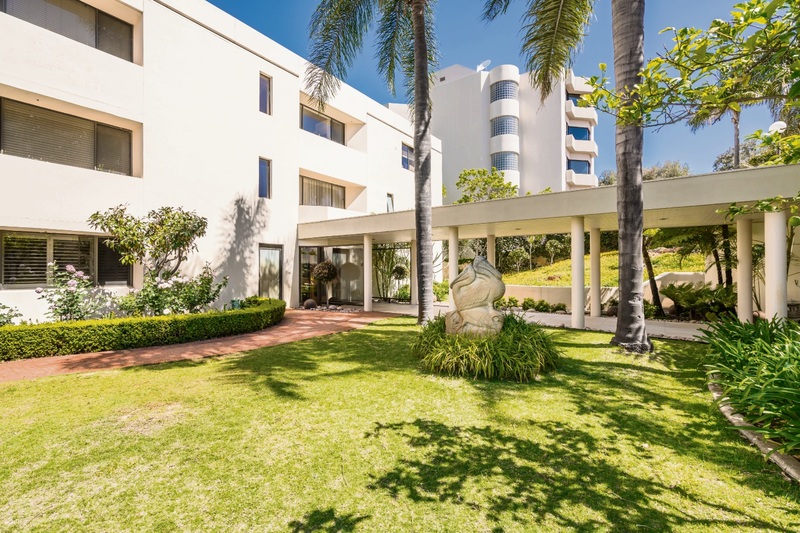 It is also close to UWA and the amenities on Broadway, and a short drive from the CBD, Subiaco and Claremont. The views from the first floor residence are delightful and include verdant parklands and the river. The home is warm and welcoming but also very stylish and modern. 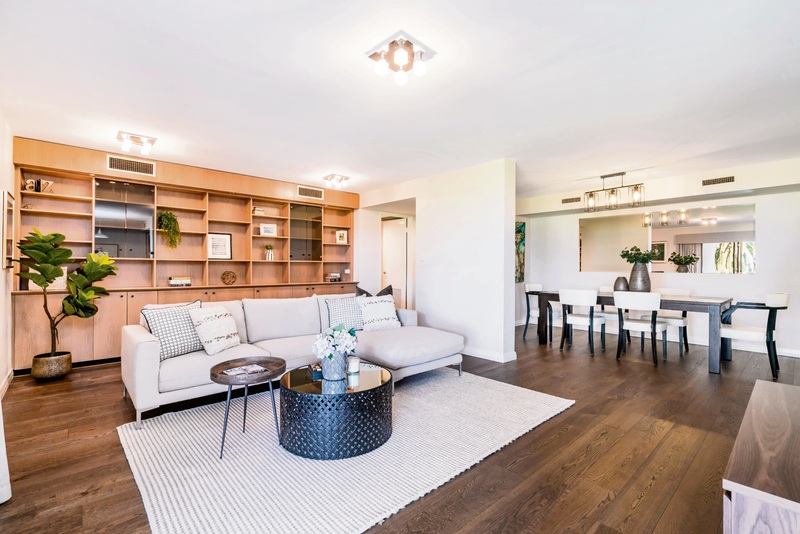 Gone are the carpets, tiles and peachy tones of yesteryear, replaced by timber flooring, a neutral colour palette and statement light fittings. There is an open-plan living/dining area next to a galley-style kitchen and meals area. This large space opens to a balcony overlooking the park. A large mirror in the dining area reflects the view so it can be enjoyed from any angle. 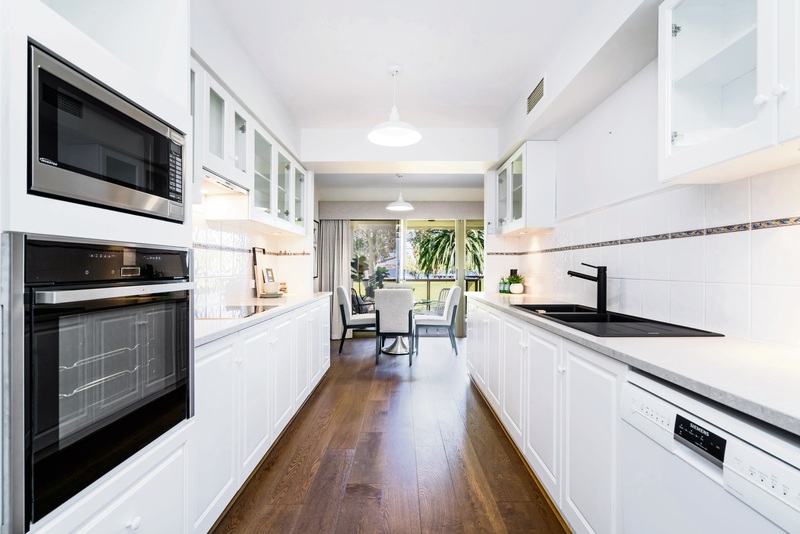 A feature of the lounge area is built-in cabinetry, while the kitchen has stone benchtops, matte black Franke sink and tap, quality appliances and ample storage, including a pantry. 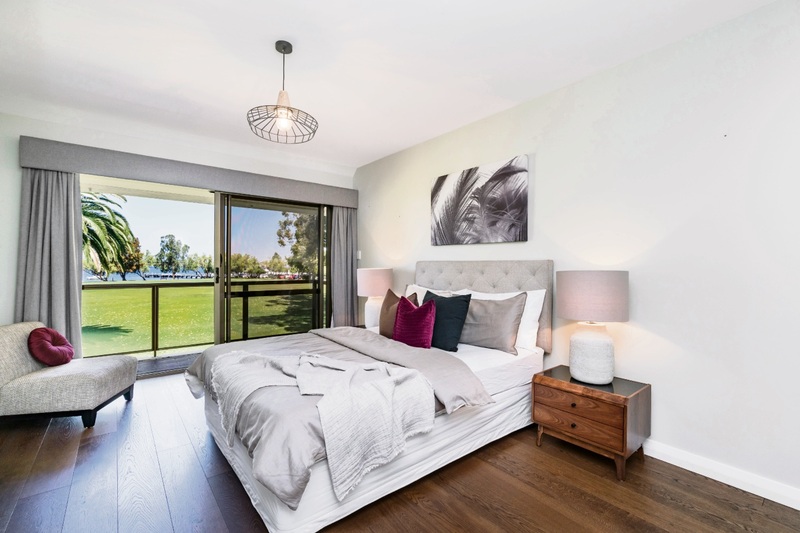 There are two bedrooms and the home’s design provides both with balcony access and views. The master bedroom has a walk-through robe and ensuite with floor-to-ceiling tiling. A second bathroom includes a bath. Both bathrooms have heated towel rails, composite stone benchtops and lots of storage. 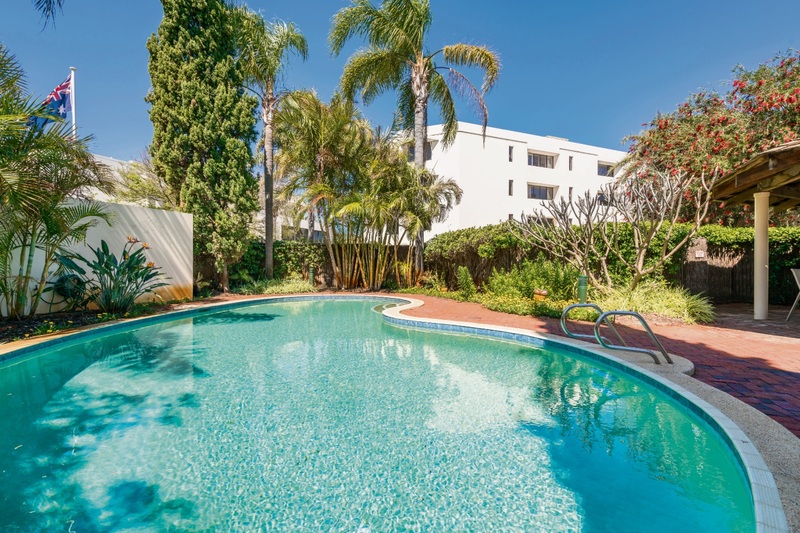 The home is in a well-maintained complex with two covered parking bays provided, visitors’ parking, pool, sauna, barbecue facilities and entertaining area.